Niall has over 30 year’s experience at Senior Executive or Director level, leading projects and initiatives in the areas of HRM, Organisation Development, Industrial Relations, Restructuring and Change Management. He has worked domestically and internationally for a range of major companies, both unionised and non-unionised in a variety of industries, including Banking and Financial Services, European Automotive, Construction, Luxury Branded Goods, Retail and Electronics. Prior to joining Symbio, Niall spent three years as the Group HR Director of the McNamara Construction Group. Before that, he was Group Head of HR and Organisation Development with Irish Life and Permanent. Teresa is a Co-founder of Symbio, with 30 years HR experience – primarily in the Financial Services Sector. Teresa’s expertise is in the areas of Organisational Development, Restructuring, Executive Coaching and Senior Assessment and Selection. 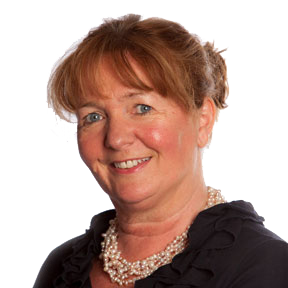 Teresa holds a Bachelor of Laws, a Masters in HR Strategy and is a Chartered Fellow of the CIPD. She also attended the Advanced Programme in OD at the University of Columbia, New York, and is licensed to use MBTI, EqI and a range of other psychometric tests. As General Manager, Group HR at Irish Life and Permanent, Teresa was responsible for delivering Talent Management, Organisational Development, Recruitment, Group Performance Management, Training and Development, Internal Communications. Her team comprised of 80 HR professionals, and won the Supreme award at the CIPD/Watson Wyatt HR Awards for the successful delivery of the HR and Communications agenda through two major mergers. Teresa has also worked in Bausch and Lomb and Abbey National in various Senior HR Management roles. 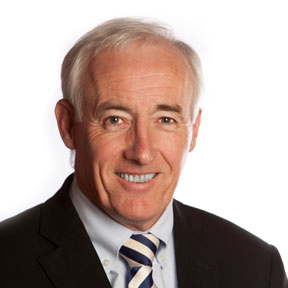 Brian Donohoe is a founding partner of the company and has over 35 years’ experience working in Financial Services and Management Consulting. 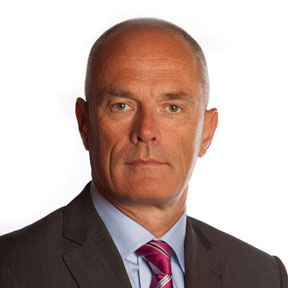 His previous employers include: the AIB Group, Fujitsu Consulting and Irish Life and Permanent. In his time with AIB he worked in a number of ICT and Business related areas including Data Centre Operations, Programming, Business Continuity Planning and E-Business. He spent 3 years with Fujitsu Consulting where he led the E-Business sales support team. In 2001, he joined Irish Life and Permanent in a Senior Management role initially to lead a transformation programme and later moving into HR as Head of Recruitment. In 2006 Brian co-founded Symbio Business Solutions. Symbio has successfully built a client base across the public and private sectors in Ireland. Brian has worked on major IT and HR specific projects with Cartrawler, Zurich Life, Fáilte Ireland, the DAA, the National College of Ireland and Ordnance Survey Ireland. He also spends a significant portion of his time planning and delivering senior assessment programmes. Brian has worked on a number of significant high value ICT and business transformation projects during his career. More details are available below. · Project Managed the first Internet Banking development in the Irish Republic. AIB 24 Hour Online. · Accepted the Golden Spider award on behalf of AIB for the best Financial Services website in 1998. · Introduced E-Recruitment into IL&P thereby reducing the time and resources required to deliver 1,000 new hires per annum. · Project managed the consolidation of 3 legacy IT systems onto a single platform while working in Irish Life. · Assisted Fáilte Ireland, the National College of Ireland and Ordnance Survey Ireland to implement large scale Enterprise HR information systems. · Led the implementation of a major Call Centre system for Cartrawler during 2015.